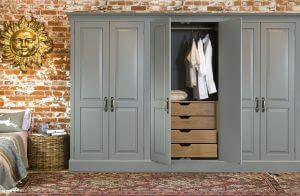 If you want ultimate luxury then choose a fabulous walk-in-wardrobe and get dressed in style. 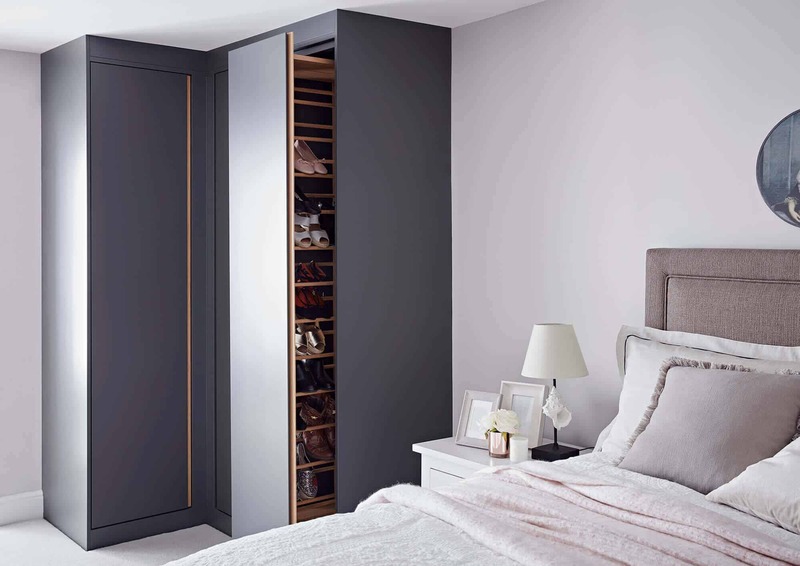 With an array of features and accessories this stylish wardrobe oozes glamour and sophistication all the while being extremely practical. Our beautiful walk-in wardrobes can be created within an existing area in your bedroom or perhaps you have an unused room that’s in need of a makeover. 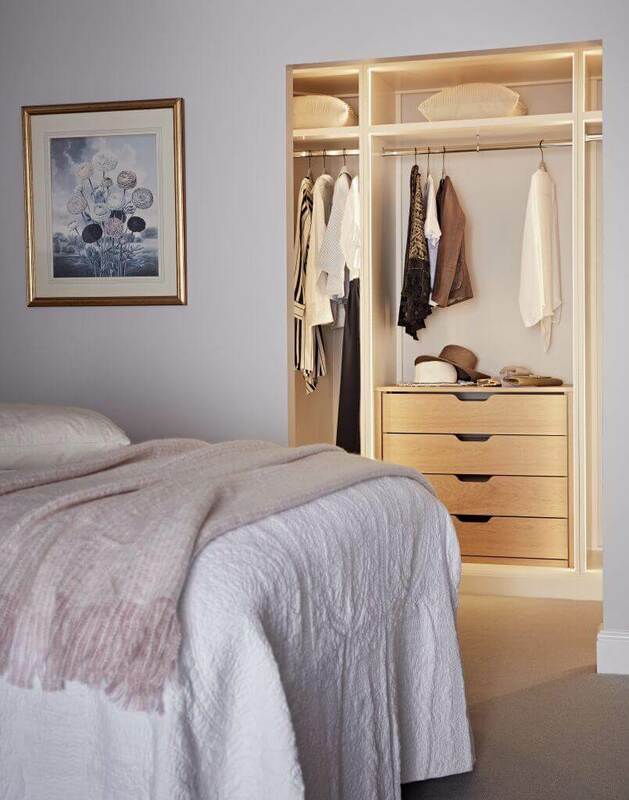 Our experienced bedroom designers and wardrobe fitters will tailor the space to suit you, ensuring that it is both stylish and practical. 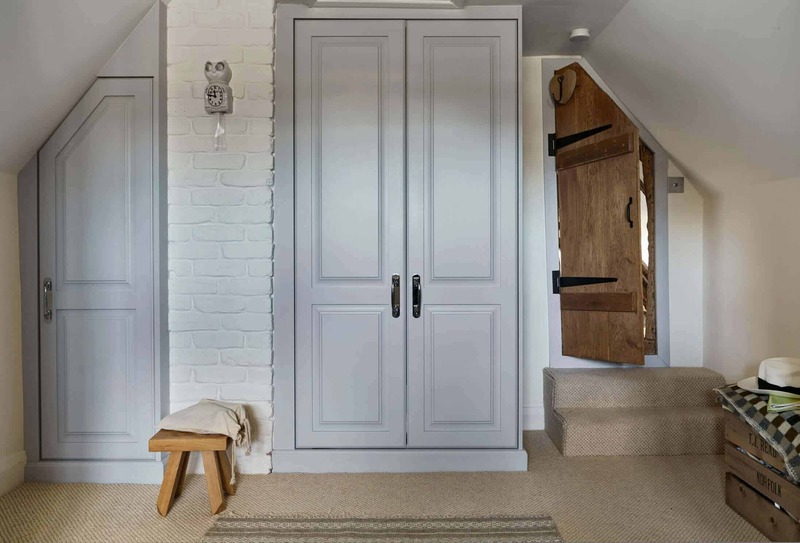 You might choose to have a walk-in wardrobe layout, or a more fitted look with our beautiful painted doors, which can also feature mirrors on the inside or out. 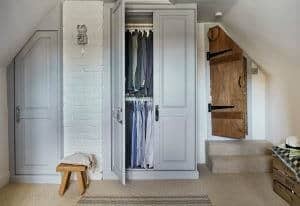 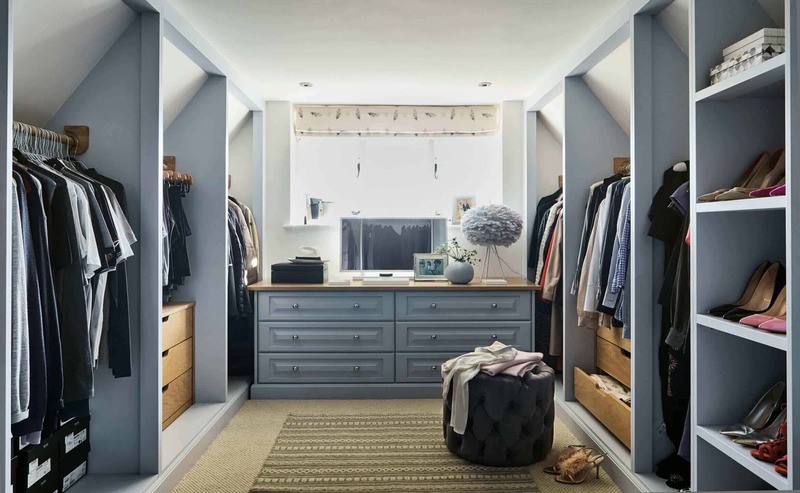 As our walk-in wardrobes are customised for you, we can add interior wardrobe fittings such as solid oak, dovetail jointed drawers on fully extending soft-close runners, shoe drawers, or a pull-out rail which is ideal for trousers and skirts. 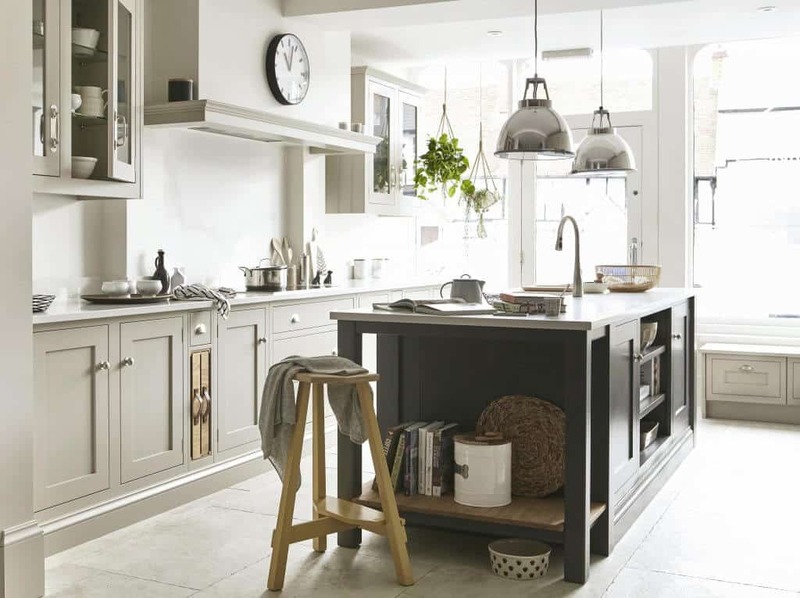 Along with your personal choice of fitted wardrobe doors you can also take your pick from our wide range of internal accessories to ensure everything has a neat place to be stored. 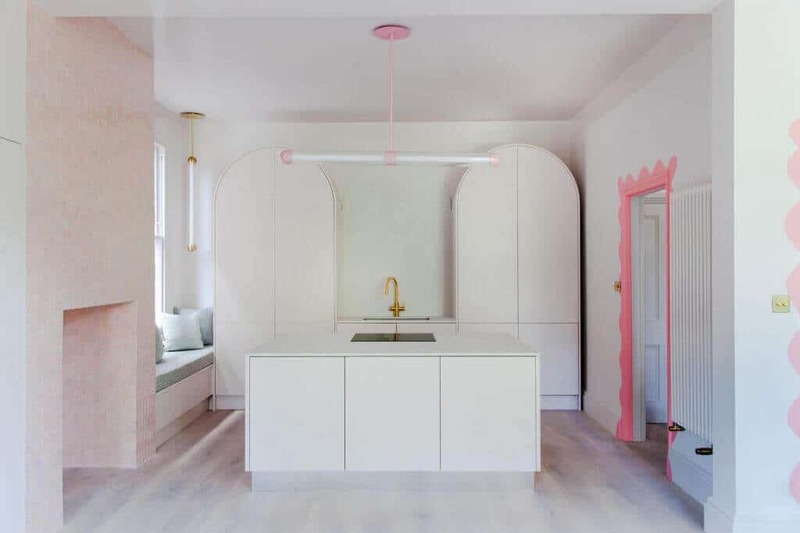 You can even incorporate lighting for added luxury. 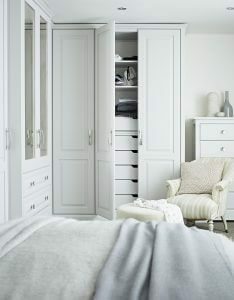 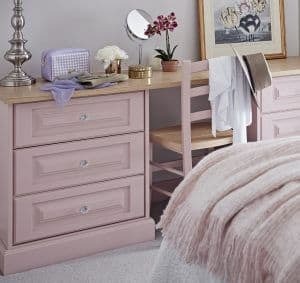 Our knowledgeable bedroom designers will guide you and provide an array of design options ensuring your new wardrobe fits seamlessly into your room and making sure you really do have a product unique to you. 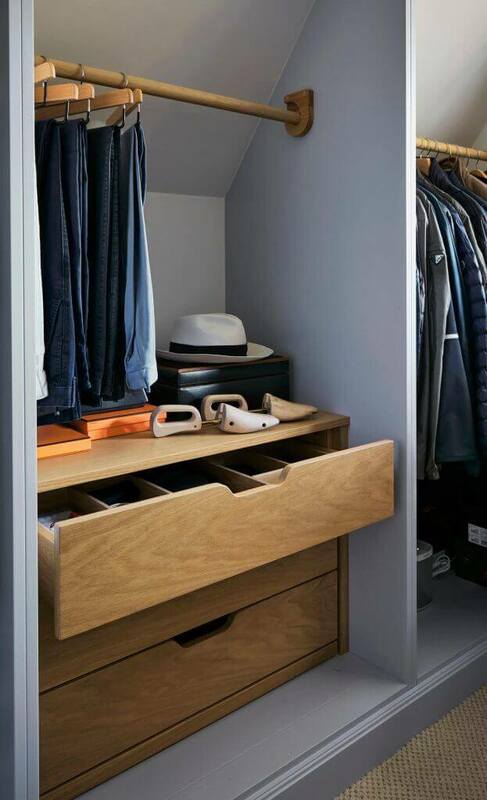 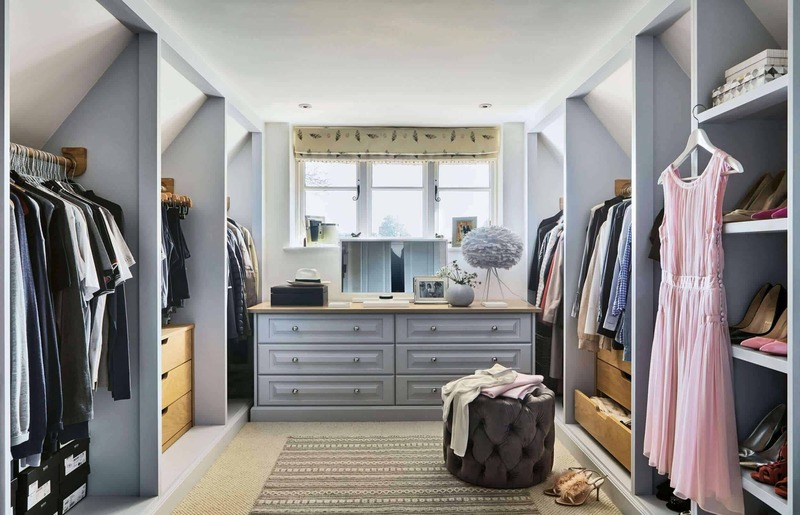 For extra practicality our fitted walk in wardrobes each have a full, solid floor, and we also have a range of freestanding furniture that can add the perfect finishing touch to your bedroom. 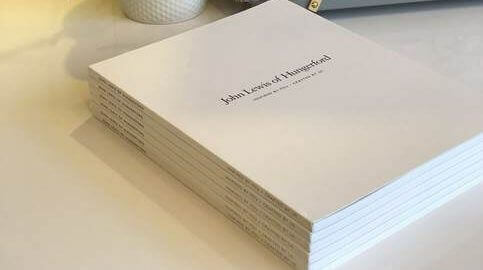 Every walk-in wardrobe we produce is individual to each of our customer’s specifications. 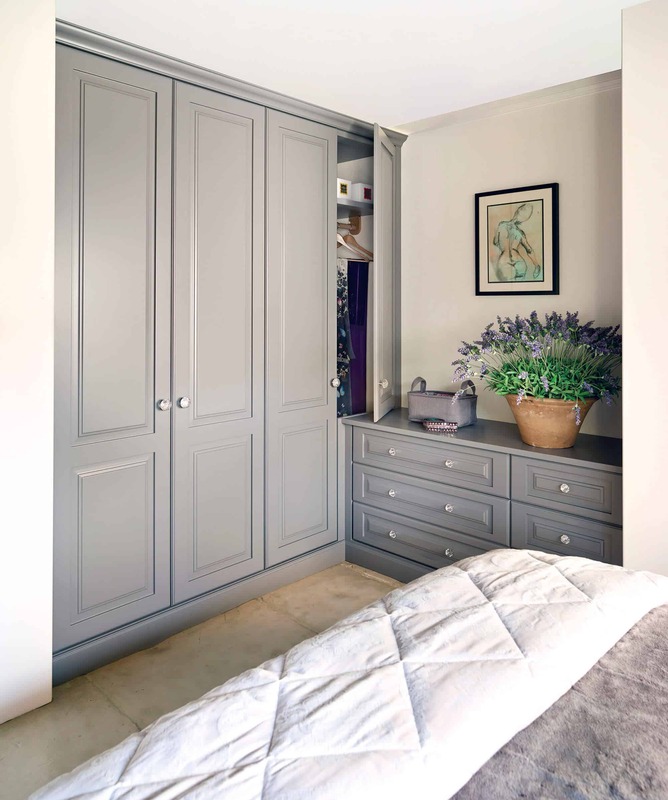 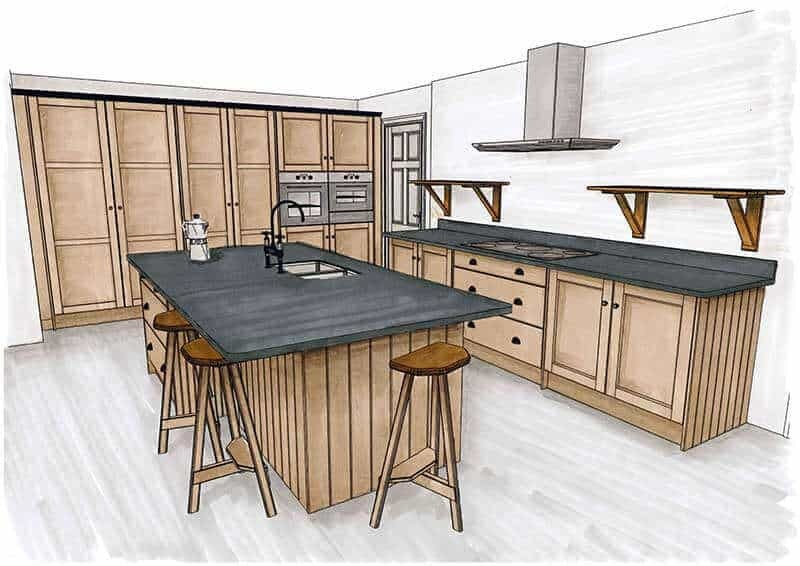 Utilising all the space that is available is key to our designs, with each wardrobe made to measure. 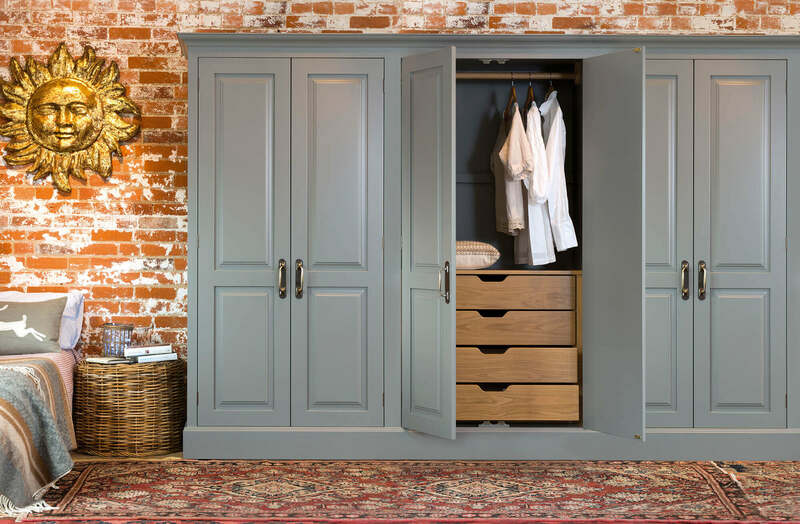 If you are looking to take the next step in your jorney to a new bedroom, walk-in wardrobe or dressing room, we’re ready to help. 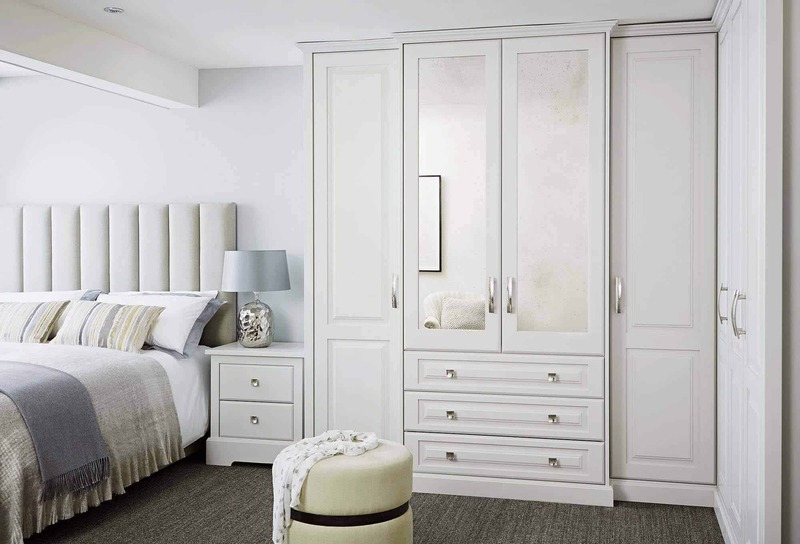 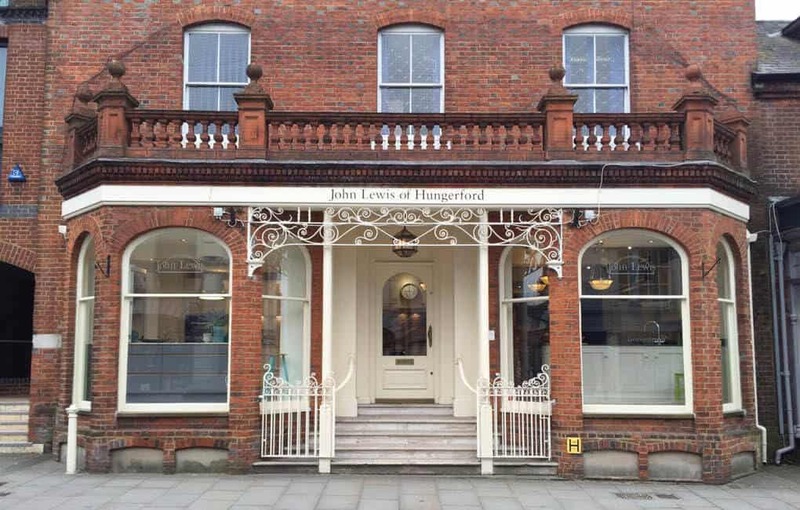 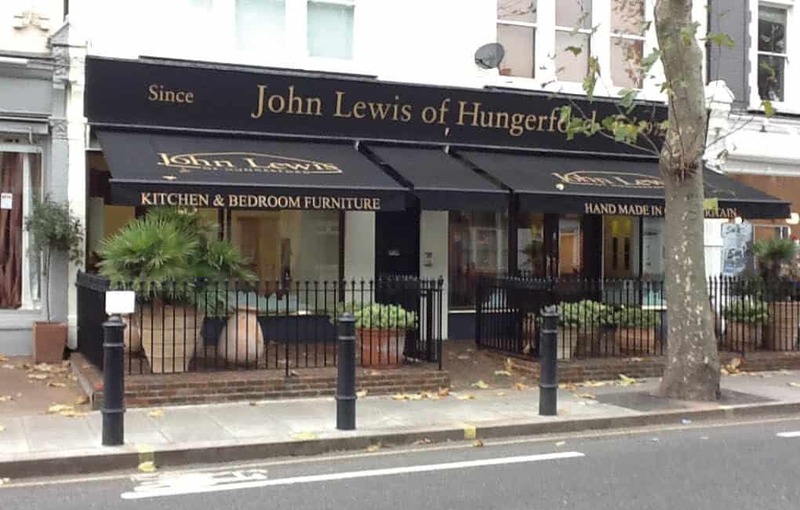 Find your nearest showroom and see our beautiful bedrooms, walk-in wardrobes and dressing rooms up close.